2 Beds 2 Baths 1,000 Sq. ft. This bright, spacious 2 BDR end unit is beautifully turnkey furnished, in exceptional condition and move-in ready! The kitchen is overlooking the living and dining room area which creates a nice open concept. 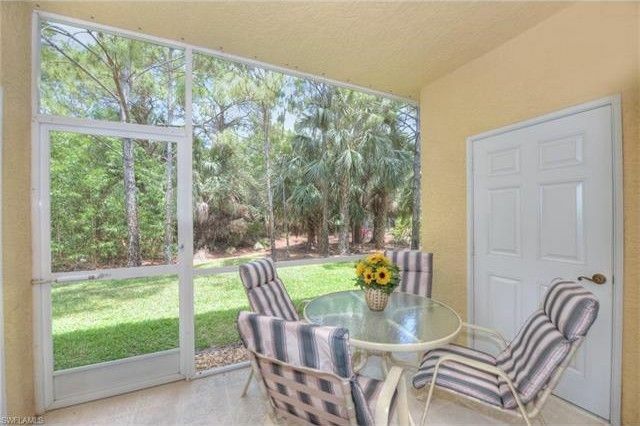 Sliding glass doors lead you to a screened-in patio where you can enjoy tranquil and private views of the landscaped back yard. Relax by the community pool in this quiet neighborhood of Coral Falls which is part of Lely Resort. Excellent location, only minutes from beaches, entertainment, restaurants and shopping to down town Naples or Marco Island. Great Investment opportunity, weekly rentals allowed! A must see!